Set up to 4 times at once Independently or simultaneously set time on four channels. 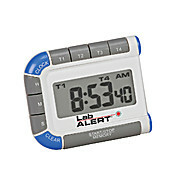 Audible and visual alarms signify elapsed time. Easily toggle between channels and clock with top buttons. Includes spring clip with magnetic back. 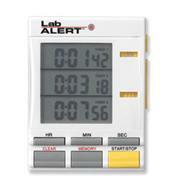 Pocket Timer/Stopwatch Four independent timing channels with visual and audible alarms. 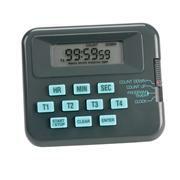 Use as a stopwatch, a countdown timer, or a clock. Includes spring clip and magnetic back. 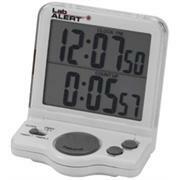 Multi-Function Stopwatch Features time, split, hourly chime, calendar, alarm and 40" neck cord. 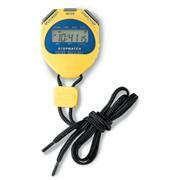 Lightweight, dependable, accurate and easy to use. 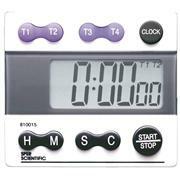 Large 1/4" display shows time up to 60 minutes in 1/100 second increments.